We make pom-poms all the time in art class, and at home. It seems like whenever we have a little time left over, the kids gravitate towards the basket of yarn and ask to make pom-poms. 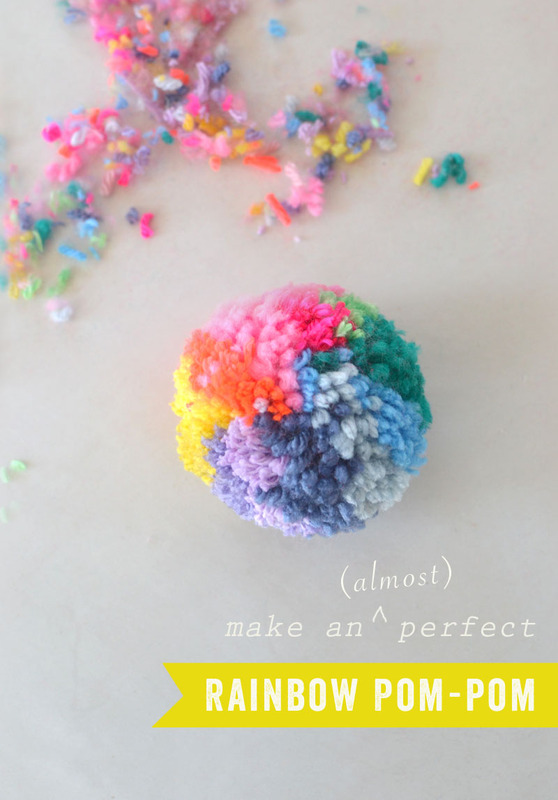 I thought I would show you my best attempt at a perfect rainbow pom-pom, using our favorite pom-pom makers. This post contains affiliate links. Thank you for your support in this way! Close the half-circles towards the middle. Stick the end of your scissors into the groove between the two circle halves, and start snipping. Snip all the way around. 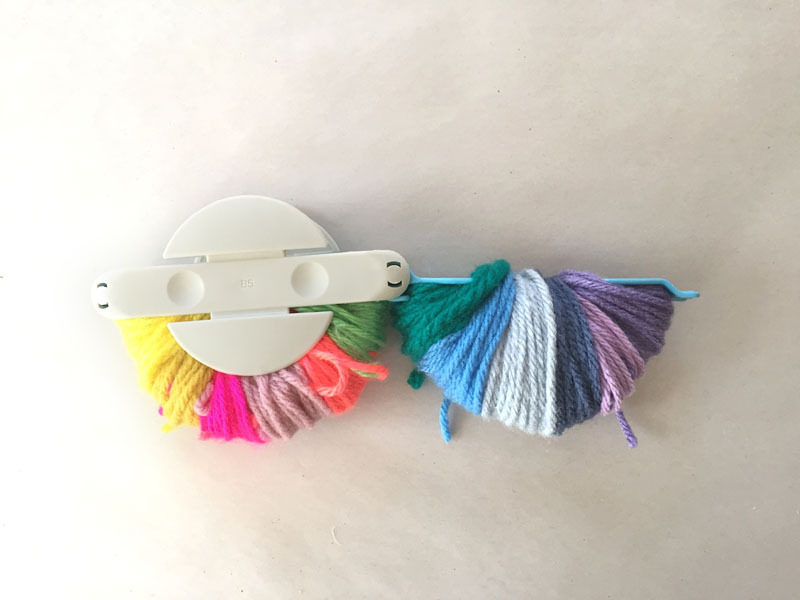 Cut a piece of yarn and tie it very tightly around the middle of the pom-pom maker. Make it a double knot. Open up the blue half-circles, and pull apart the two pieces of the pom-pom maker (this part is easier to see on the video). Snip and snip some more. Give the pom-pom a serious hair cut. 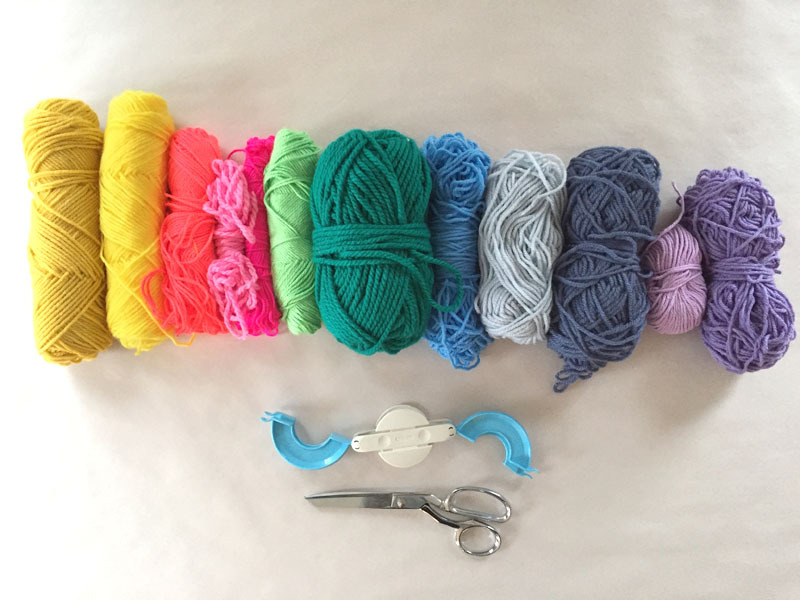 The reason I chose the largest pom-pom maker was because I trim a lot in order to get it looking plump and full (not stringy). 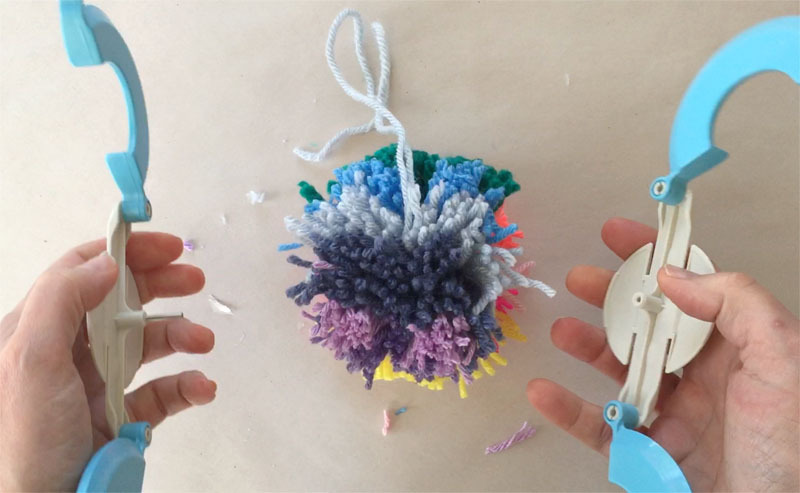 Watching the video will give you a better idea of how the pom-pom maker works. That’s it. Easy-peasy lemon-squeezy. I think I will make about 30 and then make some sort of mobile for our new home (which I haven’t found yet, but I have hope!). Hi Bar! I’ve been wanting to ask this for a while now, and stumbled upon this post again, so I thought I’d ask here. 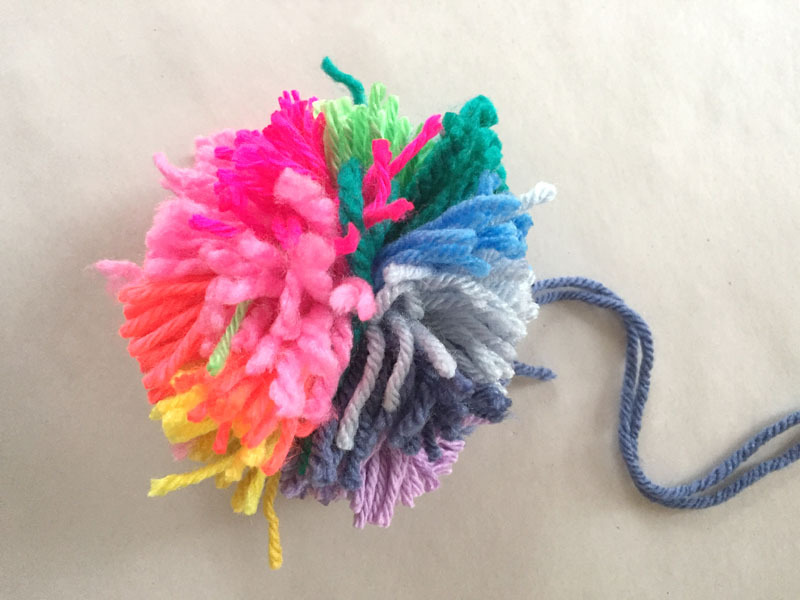 What ages have you had success with making pompoms? I do a summer craft camp that runs about ages 7-11 (grades 2-6ish). I’ve experimented with making pompoms and tassels with them a few times, but for some reason, it’s never really been successful. (For pompoms, the failure mainly lies in the “haircut” part.) But I’m determined to make it work this summer. It seems like girls this age (most of whom have been crafting with me for a long time) should be able to do this easily. I’m thinking we’ll just devote an hour to perfecting it with my cheapest yarn — if we have some false starts, so be it. Any tips? Are Pom Pom makers pretty similar or is this particular brand of higher quality? What should I pay attention to when purchasing Pom Pom makers?